YXLON International has appointed Ragnar Vaga as the Regional Sales Manager for Nordic countries (Scandinavia, Finland and Baltics) and Russia. In addition, YXLON appoints Nordic SMT AS and Sincotron Finland OY as its partners for the well known FeinFocus product line in the Nordic electronics market. Ragnar Vaga will have an active part in the sales process together with YXLON's partners and manage all activities in the territory. He has worked for distributors of electronics capital equipment for seven years, of which five years he has spent selling FeinFocus products, among others. 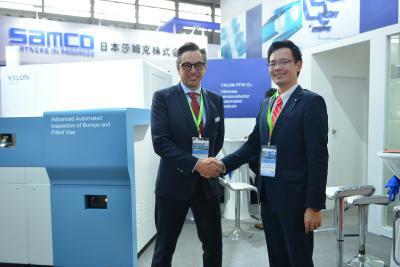 While Sincotron Finland remains YXLON's sales partner for Electronics market in Finland and the Baltic region, an additional agreement with Nordic SMT has been signed. Nordic SMT will cover Denmark, Sweden and Norway. YXLON has also invested in the expansion of their service organization with the worldwide rollout of a new Service concept. The comprehensive Y.SERVICEPASS for the Nordic and Baltic region covers the entire service spectrum, from simple preventive maintenance through full service emergency response of parts and labour. With an additional service engineer located in Sweden, YXLON has a special proximity to customers in these regions. "This appointment and the new setup of sales channels plays an important role in YXLON's roadmap for growth and is part of the plan to strengthen the overall commercial and technical support," explains Bernhard Muerkens, Head of Sales Electronics. "All in all, it will generate additional value for our existing and new customers." YXLON International GmbH, a leading supplier of industrial X-ray inspection systems and computed tomography (CT) solutions for the non-destructive testing of materials (NDT), is an innovative high-tech company with a wealth of tradition. YXLON has been a member company of COMET Holding AG (Switzerland) since 2007. The COMET Feinfocus business unit has been integrated into business at YXLON as a product line. 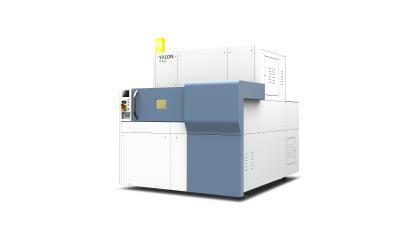 By doing so YXLON is now able to cover the increasing demand for X-ray and computed tomography solutions in the microfocus sector, for example the way they are being used in the electronics industry. 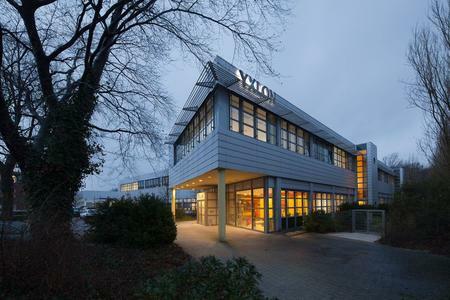 With its headquarters in Hamburg (Germany), several subsidiaries and a tight network of agents aligned all over the world, YXLON supplies solutions for any production process, but also for service and maintenance applications, whether in shipbuilding, pipeline and vessel construction, the automotive industry, aerospace and aviation, or for microfocus inspection in the electronics industry. The product portfolio includes microfocus as well as conventional X-ray and CT technologies. It ranges from portable systems constructed for on-site application in the field to standardized modular solutions, complex, fully automated as well as customer-specified solutions, all the way to Feinfocus microfocus X-ray and µCT systems.